As other issues come to the fore, we will be better able to assess the significance of this telephone call. 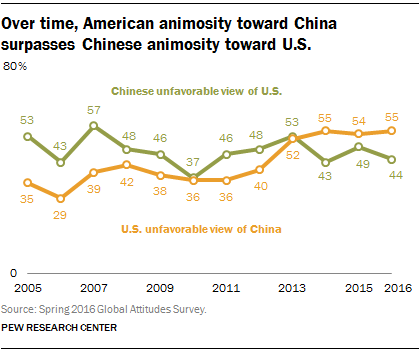 Public opinion in the US toward China has become increasingly more unfavorable over the years. That trend needs to be reversed; the US and China need to work with each other for stability in the international system. Their mutual economic interests essentially support the entire global economy. 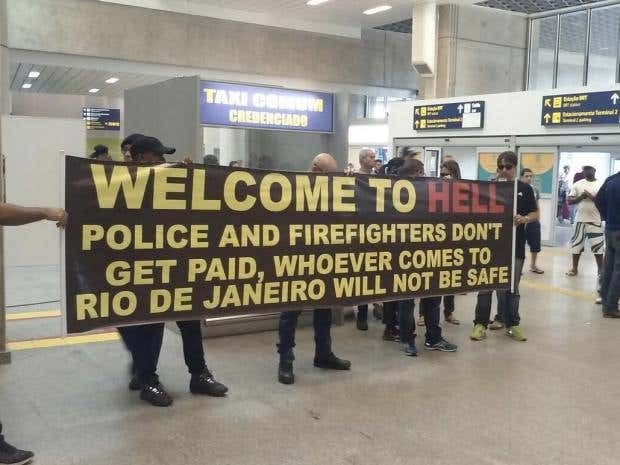 Some police officers in Brazil are striking for better pay. The situation in the Brazilian state of Espirito Santo is especially acute and 120 people have died in what some have described as an anarchic situation. The military has sent in soldiers to fill the void, but there are fears that more police officers will join the strike. Every level of government in Brazil is suffering from serious budget crises as the economy, once incredibly vibrant a few years ago, has slowed precipitously. The Guardian has a vivid photo gallery of the situation in Brazil. US and Chinese military aircraft flew dangerously close to each other in the South China Sea. Both airplanes were doing reconnaissance and the close encounter was apparently unintentional. But the risk of an accident in constricted and contested space is quite high.